Ranit Mishori, MD, is a Professor of Family Medicine at Georgetown University School of Medicine. She is a member of the HealthNewsReview.org team of reviewers. 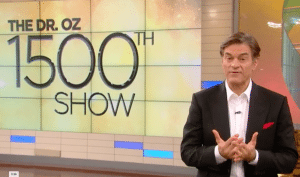 Earlier this month, Mehmet Oz, MD celebrated his 1,500th “Dr. Oz” show. Oprah Winfrey, Gayle King and Martha Stewart made appearances, proffering congratulations and discussing everything from mercury in fish to the #metoo movement. I felt less jubilant: In the decade that The Dr. Oz Show has been on the air, it hasn’t been unusual for me to encounter patients who ask about topics, treatments and suggestions mentioned on the program and another popular medical show, “The Doctors.” The advice my patients tell me they’ve heard on these shows often does not square with what I know about the medical evidence. While I may know that TV shows should be considered entertainment, my patients may not. After all, in our culture, a white coat and a “Dr.” title is a powerful symbol for a trustworthy person of knowledge. TV shows likes these are, in part, why the American Medical Association recently formalized a set of guidelines titled “Ethical Physician Conduct in the Media,” which recognize our responsibility to use our knowledge and skills “for the benefit of the community as a whole.” It also highlighted the risks when medical advice is not appropriately conveyed or does not reflect the standard of care. There are times when we know right away the answer is an emphatic no; other times we aren’t so sure. It is always possible we might miss some important new study and need to check the source of the information. With patients who are not simply inquiring, but instead telling us they were doing something based on a Dr. Oz recommendation, it also raises questions for us: Are there any harms that we should warn them about? What we found: The recommendations made on these shows only occasionally follow evidence-based guidelines. Often, we couldn’t find any literature citation (such as a medical study) to confirm the claims made on the show. The costs and harms of the suggested treatments were often overlooked. And, the hosts on the show frequently hawked products made by companies that advertise on the show. 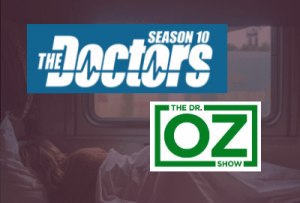 My colleague Dr. Jeffrey Weinfeld, medical librarian Michele Malloy, and I enlisted a group of medical students to tape and view all episodes of “The Doctors” and “The Dr. Oz Show” airing during a full month. Our students logged all the health recommendations made on the shows, and noted whether harms or costs were discussed, and if a source or reference was given for the health recommendation. Our students also watched and noted the advertisements aired during the show and tracked whether advertisements were related to the show’s content, possibly suggesting a conflict of interest. We counted more than 300 health recommendations, and we randomly selected a subset of them for further analysis. Our analysis included categorizing each statement into one of several “levels of evidence” based on a standard evidence-based medicine best practice resource (the Oxford Centre for EBM), and searching the medical literature to find the source of the information. We further classified each source we found for the on-air recommendation into the following categories: 1) significantly supports claim, 2) supports claim but with limited statistical strength, 3) supports claim with extrapolation (i.e. animal study, in vitro, very small sample size), 4) unclear, 5) no source identified matching claim. On average, there were 6.91 (Dr. Oz) and 9.55 (The Doctors) health recommendations made per show. Discussion of potential harms or risks were noted in only 8.6% of Dr. Oz’s recommendations, and in 13.1% of The Doctors’ recommendations. The cost of the various recommended interventions was mentioned 23.7% of the time on the Dr. Oz show, and 3.1% of the time for The Doctors. About 78% of statements made on the Dr. Oz show did not align with evidence-based medical guidelines, society recommendations, or authority statements. For The Doctors, this was about 80%. 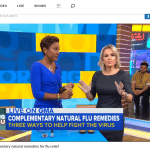 In the Dr. Oz show: 13 out of 19 (68.4%) shows had ads related to general show content, 11 /19 (57.9%) had specific products mentioned by the host using their commercial name, and 4/11 (36.3%) shows mentioning products by name named more than one product. In The Doctors: 12 out of 18 (66.7%) shows had ads related to general show content, 13 /18 (68.4%) had specific products mentioned by the host using their commercial name and 11/13 (84.6%) shows mentioning products by name named more than one product. For both shows, about half of the literature supporting the claims made on the show television was statistically insignificant or required extensive extrapolation. No literature support could be found for about a third of the claims. Of the supporting evidence we could find, about a third had Oxford EBM classification 3b or lower (the lower end of what’s considered good quality evidence). We started the project having serious questions about the quality, validity and accuracy of the advice given during daytime health talk shows, and at the end, we weren’t reassured. A scene from “The Doctors” TV show. Our results lent further support to the general feeling among many scientists and clinicians of the shows’ sub-par level of evidence and low quality of information. Many of the studies we identified as potentially providing support for the claims made on the shows were problematic–with only a few people enrolled, or they were animal-based, or “test tube” studies. If these sources we found are indeed the sources of information used for the shows, then it appears the show researchers frequently relied on preliminary findings–in lab animals, tissue samples, or very small human trials–and then applied them to everyone. This practice is at best misleading to the general viewer, and potentially harmful to viewers and patients with serious or chronic illnesses. Finding a match or a source in the literature for a recommendation made on the show – even when the searching was conducted by highly skilled individuals with years of experience combing the medical literature – proved to be extremely time-consuming. It would be especially challenging for a lay person to find sources: Our searches were conducted with access to subscription databases and journals not always available outside of academic settings. How could these shows improve? Given their huge popularity, these shows aren’t likely to go away. Instead of presenting dubious claims, they have an opportunity to be leaders in health promotion and education. The AMA guidelines mentioned earlier provide important starting points to bridge that gap. Transparency must take priority, allowing viewers and healthcare providers to find the information sources used to back their claims. This can easily be addressed by providing the citations or links on the shows’ websites, after or during the rolling of the credits, or by putting them at the bottom of the screen. 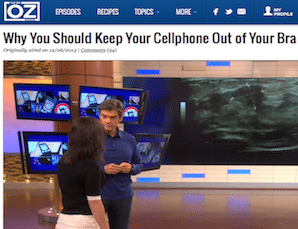 At the moment, it doesn’t appear that anything like this exists–an “important message” from Dr. Oz is all we could find about the claims made on the site. We could find no sources or disclaimers on the The Doctors web site. We also think the shows could raise their ethical standing by acknowledging when a product or brand being discussed on the show is linked to an advertiser. As the very least, there could be disclosure at the bottom of the screen in the final credits, or on the shows’ websites, that explains the connections. Show staff should develop or adopt internal review criteria that are responsible and viewer-centered, perhaps adapting already existing standards of quality health reporting such as those suggested by HealthNewsReview.org. At the same time, we continue to encourage our patients, the viewers of these shows, to embrace skepticism and to recognize that TV entertainment is not, and should not be, a source for high-quality medical advice. How does he find time to take all those supplements in the morning before.going to work? Why is it we can’t question your reporting on these shows when you are doing the same thing. On google they have a health forum. Nothing is said about that. And there is the entire internet full of health information and not all of it is correct and they are almost always combined with advertising. You are acting like Dr Oz a heart surgeon would intentionally put out harmful information. And we don’t know you or anyone who helped you with these comments so why should your advice be any better? And there are many studies put out there that include animal testing. But you made it clear if someone doesn’t agree with you that you will not publish their comments. How is that fair? You can attack another Dr but you won’t allow yourself to have anything said about you? ? Really? ? 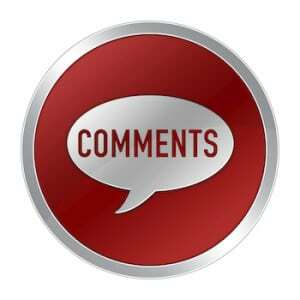 Also if you don’t allow our comments that we have a right to say then we can always go to Facebook and that is a much bigger place to make our comments. Also not everyone can run to a Dr just whenever so I do think there is alot of useful information on their shows and I haven’t come across one where there are cures for something major. And most people will do research beyond the shows. I think it helps people to eat healthier and how can that be a bad thing? I’m sure you won’t post this comment. But it is my thoughts and opinions and they are just as important as yours. Also I recently learned something from one and have found it to be true. There are quite a few false statements in your note, but we published it anyway. First, by publishing your comment above, your first allegation that you can’t question what we wrote is clearly wrong. Second, there is nothing in our comments policy that “made it clear if someone doesn’t agree with you that you will not publish their comments.” Third, your comment that you don’t know who we are is unwarranted; bios of all members of our team are available on our website – a team that, combined, has hundreds of years of experience in health care journalism, science writing, medicine, and research. 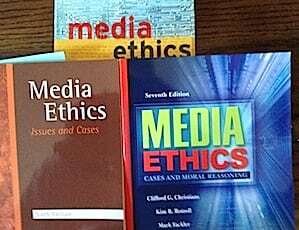 Dr. Ranit Mishori’s article, which you question, was based on a systematic assessment of the TV programs in question. You may question the importance of that assessment if you wish. But please don’t make false allegations about our work. We may post one round of false statements and then respond to them. We won’t do it a second time. I never watch Dr Oz “show” and to me his credibility is near zero BUT the argument that he does not “align with evidence-based medical guidelines, society recommendations, or authority statements” almost makes me want to revise my opinion :-) Evidence-based medicine : the data base is more than a little corrupted by unpublished and badly designed studies. Authority statements : are we talking about committees populated by opinion leaders on the industry payroll ? ?The global status of biomedical research and practice being what it is actually, the argument may not be the most convincing ! I never watch these shows so I have no input on this particular issue, but my question for you has to do with the fact that so many studies that create “evidence-based” medical guidelines could be questioned. Just one example of this is as I understand it, most studies of drugs are done on (average) 45 year old men. I am neither a man nor 45. So how do I know that a particular drug will not do harm to a 72 year old woman? I have read extensively about the testing of drugs and other studies and just as you have made me even more aware of the bias of headlines and news stories, I am extremely cautious when I am told something is “evidence-based.” One reason that there isn’t evidence around some things is simply because the cost of doing so is impossible for many to go through. I also believe that the placebo effect is not always a bad thing, or dangerous. Finally, I know that some things work for some people and not others. All this adds to the confusion, but also my feelings that “evidence-based” is another buzz word that isn’t impervious to criticism. As a doctor, Thank you!!! Dr. Mishori does a great job exposing some of the many problems of Dr. OZ, a man who has lost almost all credibility in the field of scientific medicine. I am surprised, however, that this expose comes out of Georgetown Medical School, a school known for its support for unscientific medical practices (alternative medicine, integrative medicine, complementary medicine, etc).I have always considered Georgetown and the Clleveland Clinic as among the worst of the medical centers that adopt, teach, and provide unscientific, unproven therapies at their centers. I am delighted to see that Dr. Mishori might be an exception at Georgetown. It would be heartening to know that there may be others like her at Georgetown. I wish Dr. Oz had done more to question Trump when he was on the show, should have demanded the usual blood tests which a good doctor would wnat to comment on, lipid panel etc for the obviously unhealthy Trump. As a graduate of the Institute for Functional Medicine, people often ask me what I think of Dr Oz. My answer is that I love him except when I hate him. Sometimes he is right on the money and saying things that mainstream medicine doesn’t (Medical cannabis to get off opioids, reversing Alzheimer’s w/ Dr. Dale Bredesen). Other times he is selling product and outmoded ideas. Hard for the average person to know which Dr Oz they are getting. It’s sad that lots of doctors are just marketing tools for the pharmaceutical industry. The reps come in with this hot new medication, feed their office lunch and give them samples to hand out to their patients. It’s all about money, treating the symptoms and not about curing the real problems. The problem that I have with tv doctors is that the statements made, in response to a question by an individual, are intended to help that individual. Sometimes Americans aren’t smart enough to think about if the recommendation are valid for them. They should definitely be required to express the risks, as well! I find it more than a little odd that you attack the validity of what other doctors view as their opinion for not providing proof behind their statements when you have done the very same thing. These days any doctor that advocates supplements or alternative medicine gets branded as an outcast. The United States arguably has the best medical care in the world. It is also arguably the most financially corrupt. The system no longer is about helping people. It is about making the most money possible in as little time possible. Big Pharma controls way to much in the matter of what doctors are taught. It is the reason that many consider Md’s to be nothing short of pill peddlers. Alternative medicine has gained it’s firm foothold because the reins that used to guide and control standard medicine are no longer controlled by standard medicine. When i was a child being a doctor meant more than just having a profession. They were revered. That is sadly no longer the case.